20 months ago Sassy started her journey as a Tripawd. Hard to believe if she were here we would be celebrating her 20 month ampuversary. This journey has brought me close to many many people and I really love all of you. Thank you for being there and still celebrating these milestones with me. There are many days that I wish I could be celebrating with Sassy here on earth. I know she is watching over many of our friends here and helping them on their journey. There are just days like this I really really miss her. My baby girl I know you miss me too this month is just hard we would be coming up on your 8th birthday here in about 2 weeks and the 20th is your 11 month angelversary. I know I shouldn’t cry because you are happy & whole but my heart does hurt. Love you my sweet Sassy Sugar Bear. You go right ahead and cry…we are too! Such a beautiful dog with an incredible fighting spirit. Unbelievable how she.overcame so many obstacles…com..com just sailed.over them! She loved you soooooo much Michelle…you were all she ever needed to be happy. SASSY GIRL, YOU HAVE ICE CREAM AND STEAK PAWTY TO CELEBRATE! You can eat all you want and never puke! Heaven certainly has its advantages! Love…lots of it…..com buckets full. You can cry!!! I still cry every day for Miss Shelby! Either happy tears remembering ALL our adventures or painful tears because I miss her so much. While I am forever heartbroken for your loss, I am grateful, like you said, that through this, Sassy (and our other angels) have brought us together like a little family. Michelle, I am Sally and Alison, as far as still letting those tears flow….no matter how long they are gone from our side, we will still cry for our fur babies. 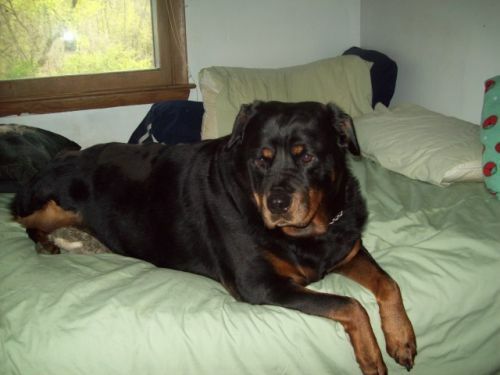 Sassy was a beautiful girl, Rotties have become very special to me. I know all our beloved angel Tripawds are together, and happy, and healthy, and enjoying life over the bridge…..unfortunately, sometimes that doesn’t make us miss them any less. Sending hugs and keeping you in my thoughts…. Sorry, meant to say I am “with” Sally and Alison…..
Bonnie…..we are all “one” asone heart!! Super duper big hugs Sassy! And to your momma too. Send down to earth your loving to make sure your momma feels it. 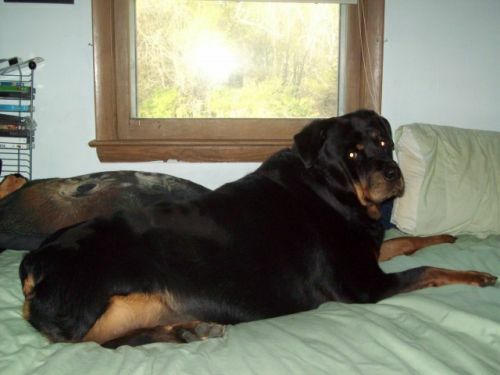 Sweet Spirit Sassy, the doggies and kitties in heaven are dancing and having a ball in your honor now that you are there to show them how to pawty! We miss you here too though and I know your Mama does more than anypawdy. Some day we will meet, and it will be beautiful. Until then, I love these blog posts with your pretty face, it’s always good to see you and smile. Sweet, sweet Sassy. Hugs to you.